CHICAGO — Can you take the heat? Chicago’s hot sauce fans and hot pepper aficionados will get a chance to test their toughness this summer at the inaugural Hot Sauce Festival next month in the Avondale neighborhood. 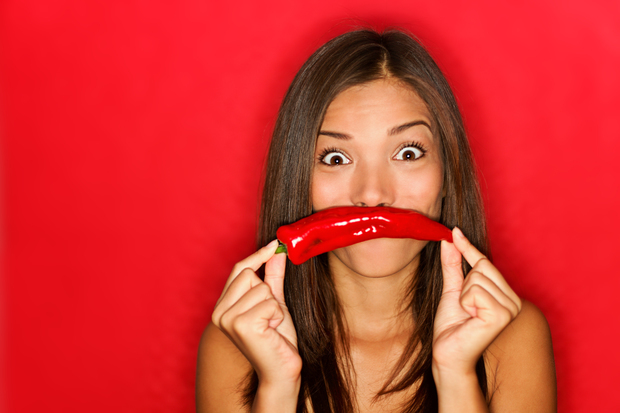 Want to try the world’s hottest pepper? You’ll have a chance. Super-hot wings? They’ll be there. They’ll even have milk to soothe your burned mouth — especially if you grow too bold and try to eat ghost peppers. Or worse, the dreaded Carolina Reaper. The festival is scheduled for July 25-26 at Belmont and Elston avenues. Adrian Gutierrez, organizer of the Chicago Hot Sauce Club, said the festival will feature spicy wings, sauces, jams and more, as well as contests and music to entertain those who can’t handle anything more intense than a jalapeño. Gutierrez said that while he could handle three to four of the peppers, he doesn’t expect most people to “get past one bite” of a Carolina Reaper or ghost pepper. In fact, Gutierrez expects things to get so hot that the festival will have cooling stations with milk and water. There will also be non-spicy food and drinks from local vendors like Dia De Los Tamales and Chicago Cupcake for those who require something a little tamer. If you’re not up to the challenge of taking on a Carolina Reaper, you can join in on a Major League Eating beef-eating contest or dress up as pepper to try and win the festival’s pepper and hot sauce costume contest. Money raised during the festival will benefit the Friends of Linne, which helps Carl Von Linne School, 3221 N. Sacramento Ave. The festival will be discussed at a Tuesday meeting with Ald. Deb Mell (33rd). Gutierrez said he expects the meeting to focus on parking, which he doesn’t think will be a concern. Festival organizers expect to bring in 5,000-7,000 people.